No soy experto pero quiero escribir una articulo sobre lugares y cosas para hacer para viajeros con niños en la zona, Por ejemplo, los mejores playas, actividades y lugares. O servicios para niños como cuidado de niños, cursos, transporte, etcétera. Ya tengo una lista básica de lugares pero que piensen ustedes? I'm no expert but I'd like to write an article about places and things to do for visitors with kids to our area. For example: the best beaches, activities and spots to go. Or services like babysitting, short courses, transport, etc. I already have a list to start but what does everyone think? What are your ideas to include? to the work of Ara Manzanillo. These birds were virtually extinct but now are starting a comeback due to their reintroduction programs and support of nesting sites and chicks. Help them continue this great work with a donation or support the cause by visiting their Manzanillo fieldstation. And some recommendations for a few of our favorite places: KOKi Beach, Banana Azul and Congo Bongo Ecolodges. If you don't happen to read Danish ;-) try Google translate. Have some time to help out? Beach cleanup this Saturday on Playa Negra. Sponsored by Banana Azul. Tiene tiempo para ayudar? Sábado vamos a limpiar Playa Negra. New house rental option near Punta Uva! Los Proyectos Moderno is a two bedroom house perched on a secluded five acre lot and surrounded by infinite pristine nature. 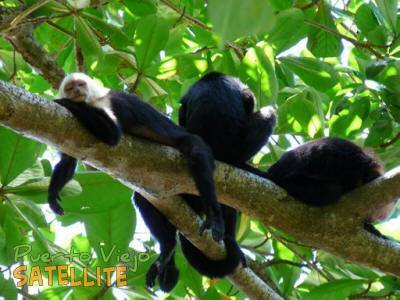 You’ll enjoy endless spectacular views as you discover all the amazing wildlife Costa Rica has to offer. Great place to get away from it all and disconnect -- it has everything you need but there's no wifi, no tv -- the animals walking by will be your entertainment. Interesting article on the history of the area. The title is a bit misleading, there really isn't a proposal to make Puerto Viejo into Cancun but instead lots of info on how the area got its unique cultural makeup. 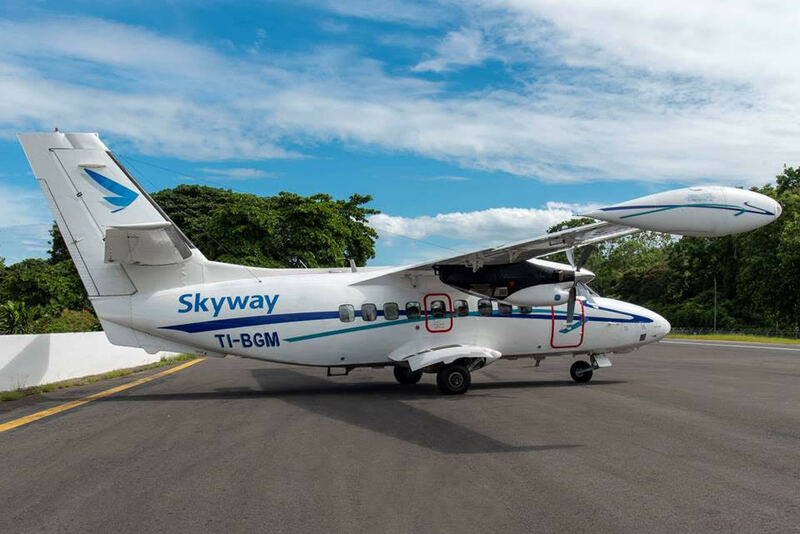 We announced with excitement on Nov 29 that a new airline, Skyway, would be taking up the San José to Bocas del Toro route that was left unserved after Nature Air stopped flying. But unfortunately, they've been unable to get approvals from the Panamanian government. See their letter below. We'll let you know if and when they do begin. Recibimos noticias que los vuelos entre San José y Bocas del Toro no están operando porque faltan los permisos del gobierno de Panama. Si ellos empecen a volar vamos a informarles. Ver la mensaje de Skyway abajo. 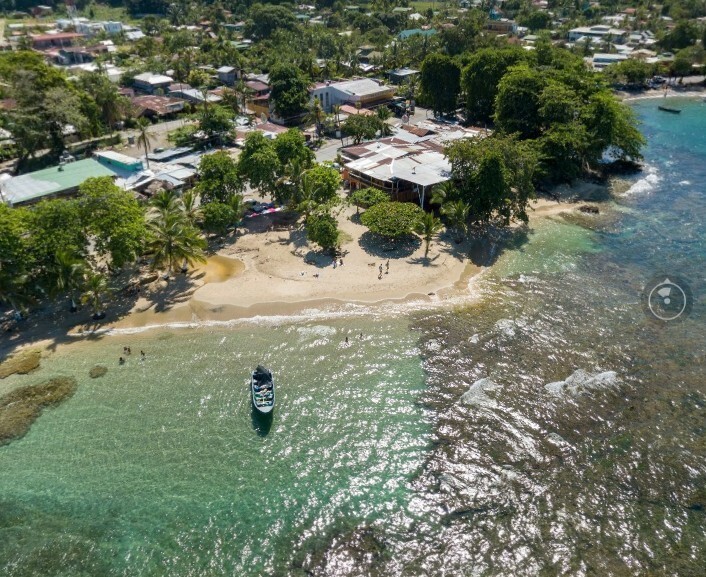 "Les informamos que la ruta a Bocas del Toro ha sido suspendida hasta nuevo aviso. La suspensión de la ruta se debe a un cambio de regulaciones del Gobierno de Panamá. Por lo que no estaremos operando los vuelos regulares o charters a este destino por el momento. 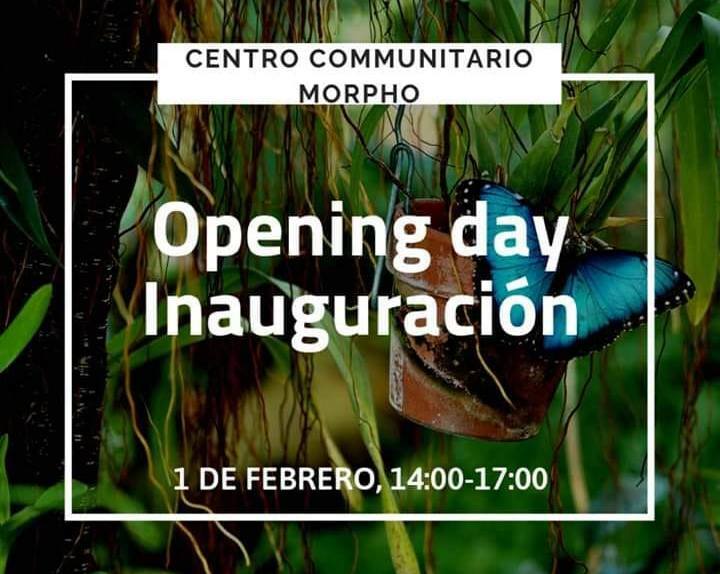 No tenemos una fecha definida de inicio, por lo que les mantendremos informados. Lamentamos mucho el cierre de la ruta, pero sale de nuestras manos completamente. Esperamos poder reactivarla pronto!!" There have been numerous sightings today of Portuguese man-o-war jellyfish (pictured) at various locations on the South Caribbean coast including Puerto Viejo, Cahuita and Manzanillo. Do not touch them or try to remove them from the water to take a photo! If you are stung: neutralize the poison by removing the remains of the tentacles from your skin. You can try to wash the area with alcohol or salt water. Never use fresh water because it intensifies the effects. It is also not recommended to use vinegar, something that does work with the common jellyfish. Hot water is Hot water is better than cold if possible. Use after a cortisone cream after washing. Atención bañistas: Esta especie conocida como carabela portuguesa han sido vistas en gran cantidad esta mañana en la costa del Caribe Sur. Si me pica: Lo primero es actuar para neutralizar el veneno retirando los restos de los tentáculos de nuestra piel. Según el lugar donde nos toque y en función de la distancia a un puesto de socorro o a una farmacia, se puede intentar lavar la zona con alcohol o con agua salada. No usar nunca agua dulce porque intensifica los efectos. Tampoco está recomendado usar vinagre, algo que sí funciona con la medusa común. No conviene aplicar agua fría, sino preferentemente caliente y usar después de una crema con cortisona. Talamanca Canton has banned plastic straws! It's official; the local government in Talamanca Canton has banned plastic straws! A small step for us to use organic straws but a big step for the wildlife affected by them. Vogue covers Puerto Viejo!? I don't high heels and little black dresses will take over from flip flops and tank tops. But lots of info and photos! How will you ring in the new year? Share in comments below and let us know what's on offer! Don't have plans yet? Check the PV Restaurants and Bars page for a zillion options! It is off of Limón, some 70km distant. Hoy había una excelente visibilidad y desde el mirador de Manzanillo se podía ver Isla Uvita situada frente Limón, unos 70 km de distancia. Video by/por La Kukula Lodge. Want to Renew & Replenish? 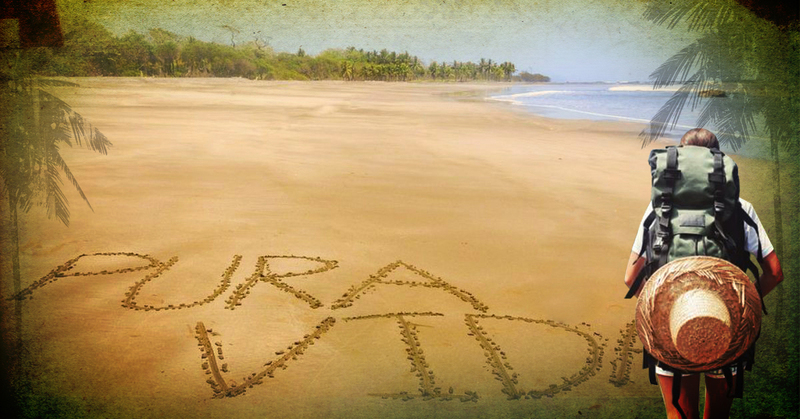 This Costa Rica retreat in May includes delicious fresh whole local food, excursions that will fill you with wonder, awe and positivity, local speakers/dinner guests & mentors will help you see how differently life can be lived and daily classes that include, dance, rejuvenating breath work and mediation. And is hosted by Louise of Casa Luna Beach House and Nina of Gecko Trail Costa Rica so we know it will be wonderful!